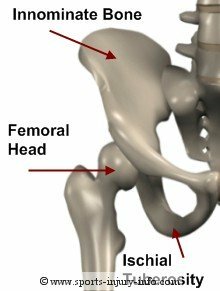 Understanding hip anatomy is an important part of treating sports injuries. While hip injuries are not the most common sports injury, the anatomy of the hip can play an important role in treating other injuries. 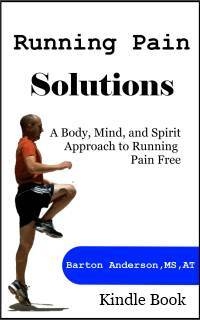 Below you will find more information on the hip muscles, hip bones, and hip ligaments. The hip joint is made up of the articulation of the femur and the acetabulum. The acetabulum is the actual socket of the hip, and it is made up of three different bones that are fused together to form the innominate bone. During development,the ilium, ischium, and pubis are distinct from each other, but they fuse together as you mature into adulthood. The bones of the hip allow for several muscle attachments, and so we will look at a few specific spots on the hip where muscles attach. 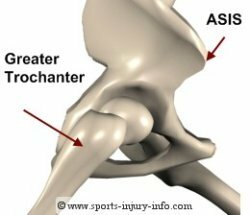 The Anterior Superior Iliac Spine or ASIS is an area of attachment. This is the most prominent part of the hip bone in the front of the body, and you can usually feel this part of the hip bones sticking out. The ischial tuberosity is where the hamstrings attach, and it is the bone that you sit on. The greater trochanter of the femur is also an area of your hip where you can feel the boney prominence. The hip joint is a true ball and socket joint, made up the innominate bone and the femur. It much more stable than the shoulder, but it does not allow for as much motion. The head of the femur is kept in the socket by the ligaments of the hip. There are three primary ligaments, and they run along the front and back sides of the hip joint. The iliofemoral and pubofemoral ligaments run along the front of the hip, and the ischiofemoral runs along the posterior or back side of the joint. These ligaments are not usually injured with sports activities, however, tightness in these ligaments can cause motion restrictions and can contribute to injuries like patella femoral syndrome. There are lots of different muscles at the hip. Many of these are small intrinsic muscles that help to stabilize the hip joint. These small muscles are rarely injured with sports. There are several large muscles at the hip that are very important with sports injuries, and can often be hurt. The hip flexors, or the rectus femoris and the iliopsoas are two very commonly injured hip muscles. 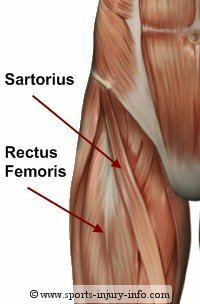 The rectus femoris is one of the quadriceps, and it runs from the ASIS to the patella. The iliopsoas runs from the lumbar spine and the innominate bone down to the femur. They both help to flex the hip. The piriformis muscle is another hip muscle that is commonly injured with sports. This muscle runs along the posterior side of the hip and helps with external rotation. 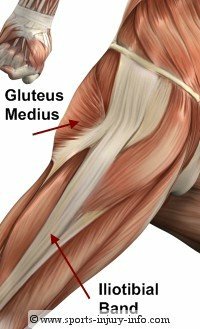 The gluteus muscles are other important muscles at the hip, especially the gluteus medius. This muscle helps with external rotation, and weakness here can contribute to patella femoral syndrome and patellar tendonitis. Tensor fascia lattea and the iliotibial band are common areas for sports injury. The tensor is a small muscle that runs along the outside of the hip, and then turns into the IT band as it moves down to the knee. This is a common area for bursitis and tendonitis. Hip anatomy is an important part of understanding your sports injury, especially hip injuries. Hip anatomy also plays a large role in treating other injuries like patella femoral syndrome and patellar tendonitis, as well as preventing injuries like ACL tears.